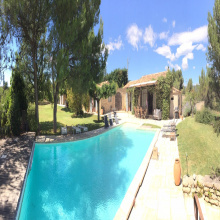 Beautiful villa with swimming pool, pool house, landscaped gardens and incredible views. 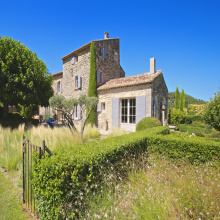 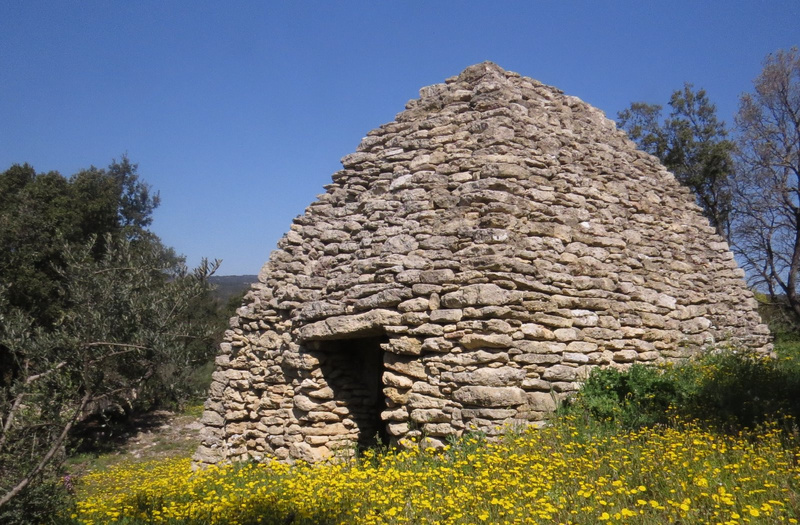 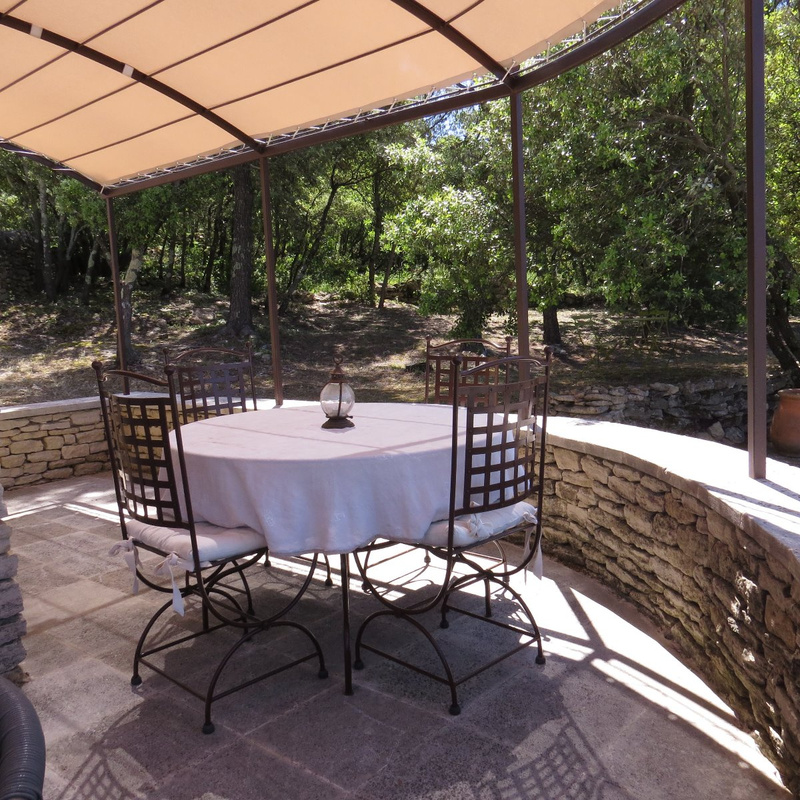 The Chemin Des Reves is located on one hectare (2.5 acres) of Provencal countryside known as 'garrigue'. 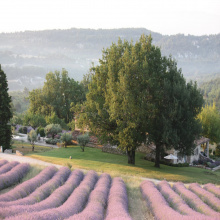 As you walk around the property you will discover the enchanting aromas of Provence - wild thyme, wise, rosemary and lavender as well as many varieties of oak trees, junipers and pines. 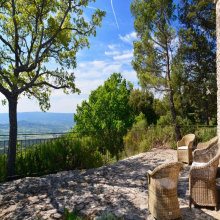 The Cavaillon Valley, the Luberon Mountains and the Vaucluse Mountains. 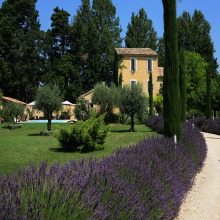 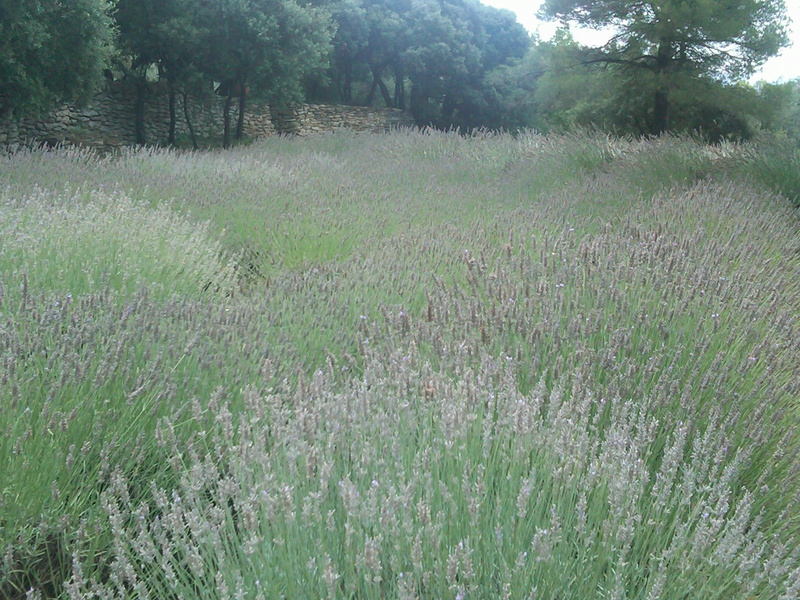 Lavender plants and olive trees flourish in the garden with a variety of gorgeous flowers, trees, bushes and herbs. 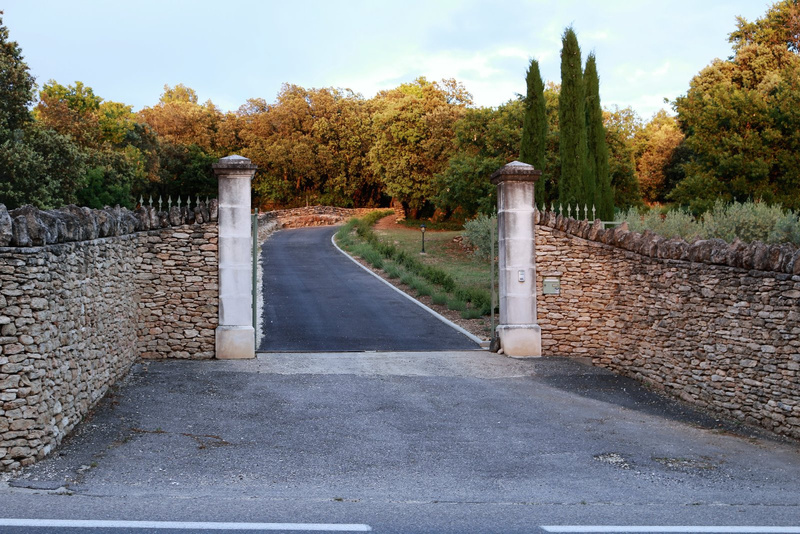 The Chemin Des Reves is located just outside the ancient Provencal perched village of Gordes which is one of the most beautiful villages of France. 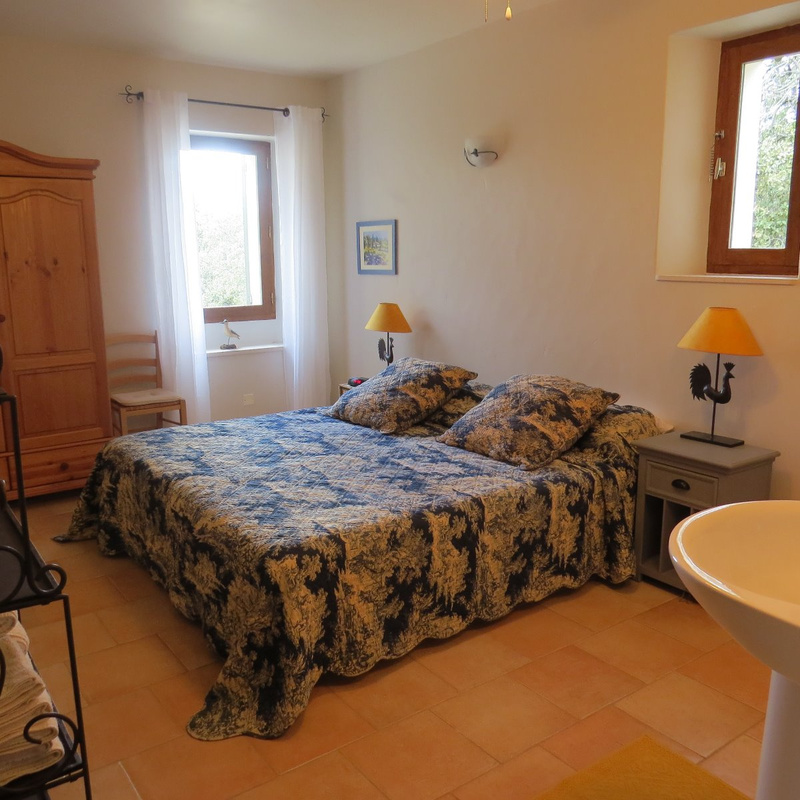 From the house it is a 20 minute walk to the Chateau in the center of the village. 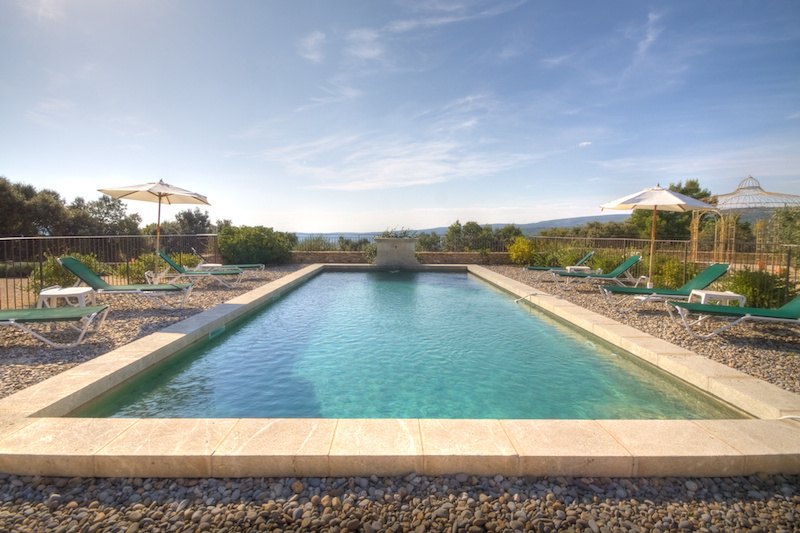 The 11 X 5 pool and lounge area is fully equipped with lounge chairs, tables and umbrellas. 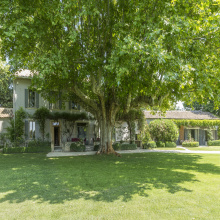 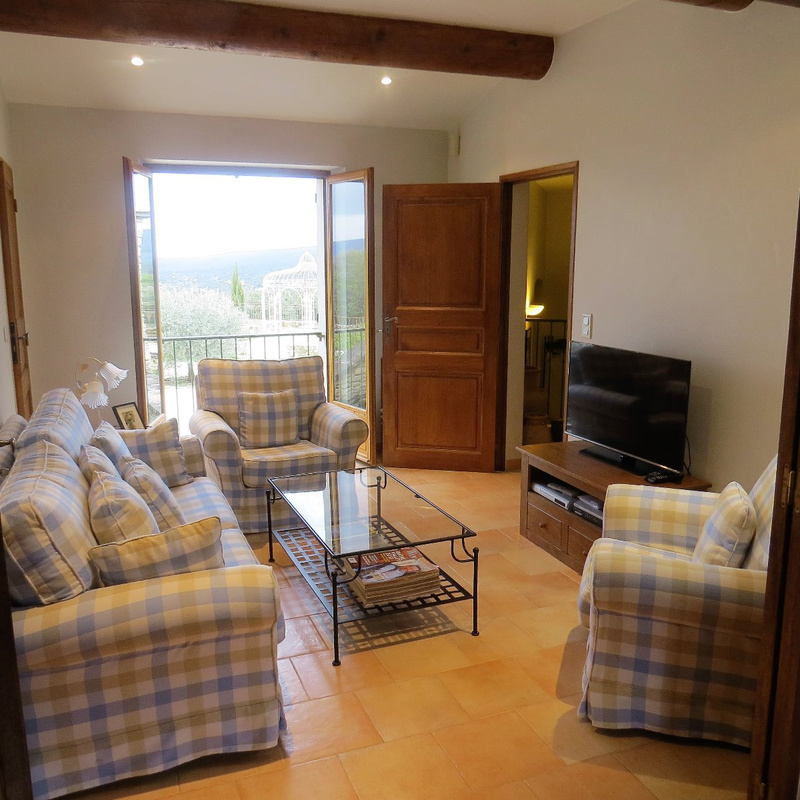 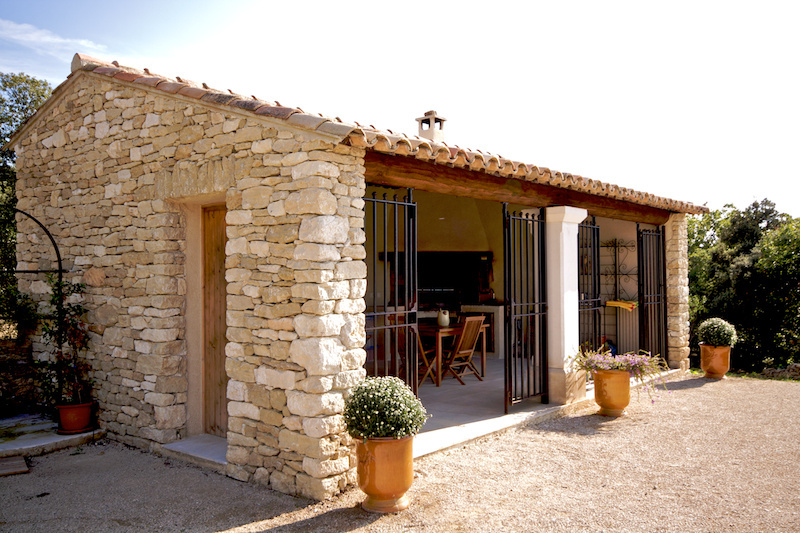 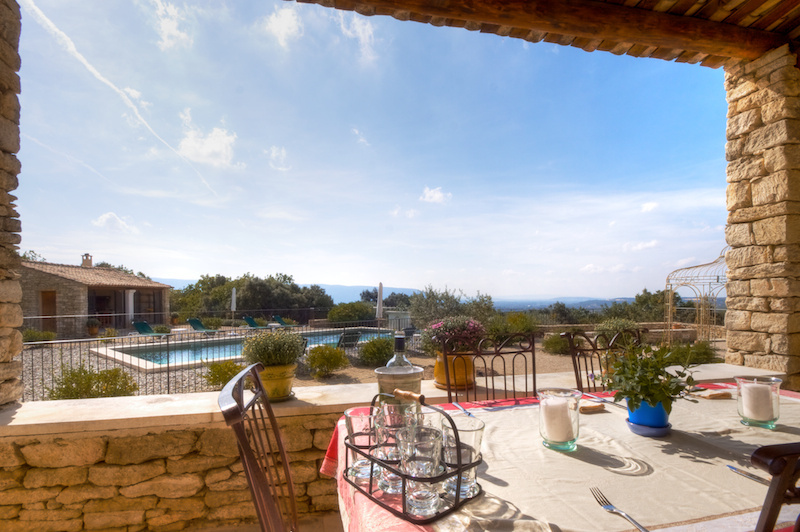 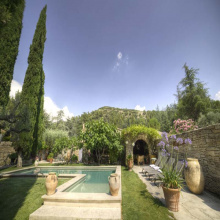 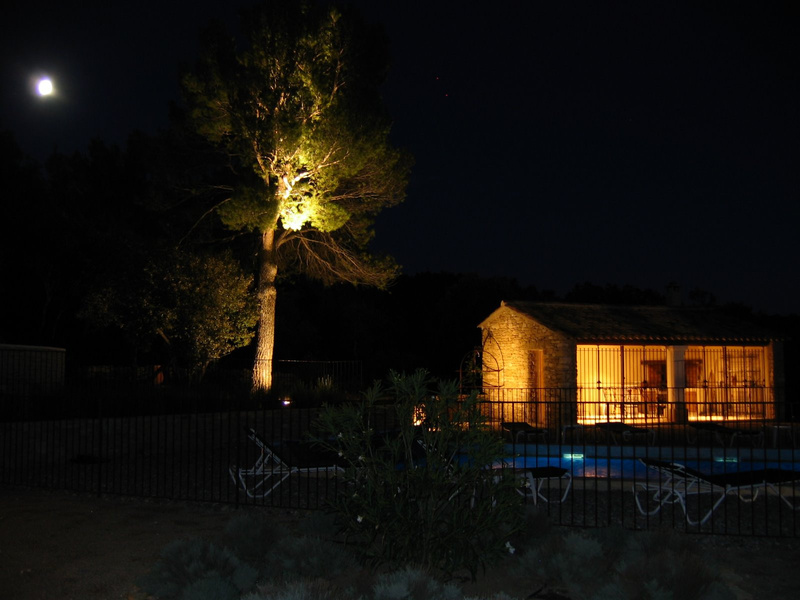 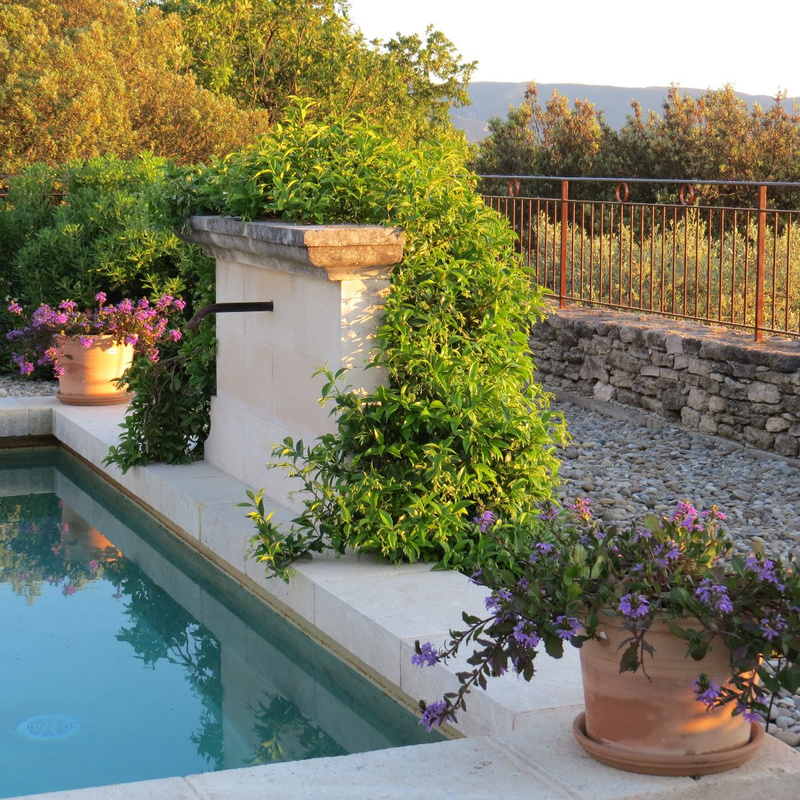 The pool house is equipped with BBQ (including rotisserie), summer kitchen, dining table with eight chairs as well as comfortable furniture for lounging and enjoying Provence. 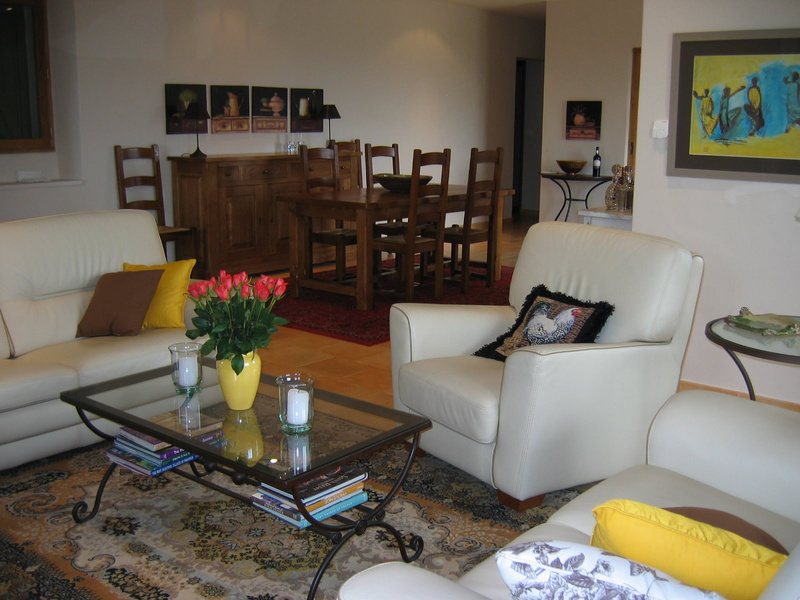 The house has four bedrooms, each with en suite bathroom. 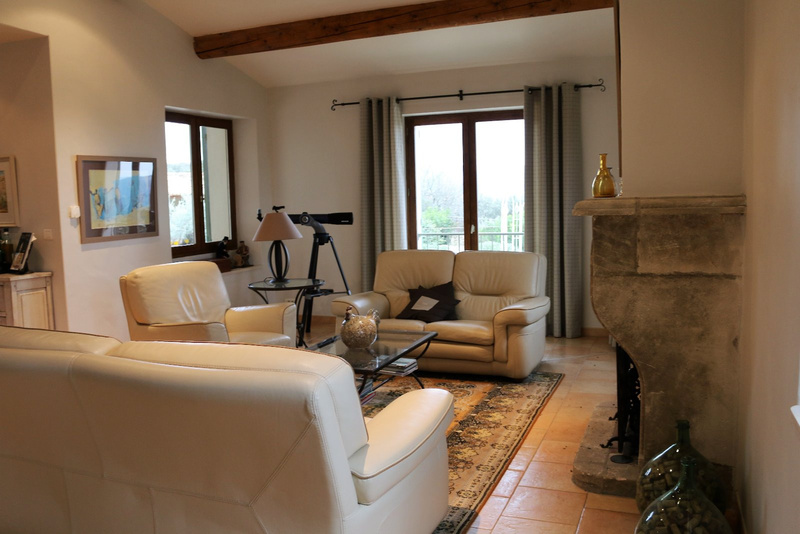 A spacious sunny lounge, kitchen, den, and laundry room. 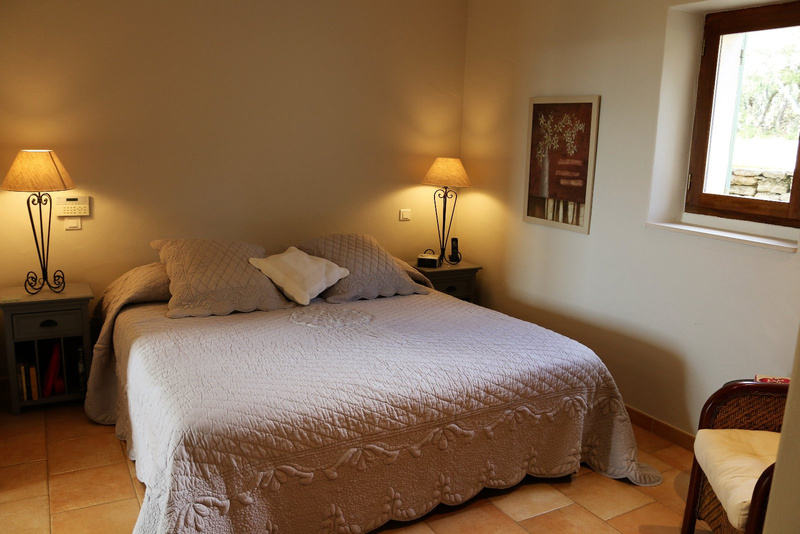 The spacious master suite, with king bed, also includes a pretty sitting area. 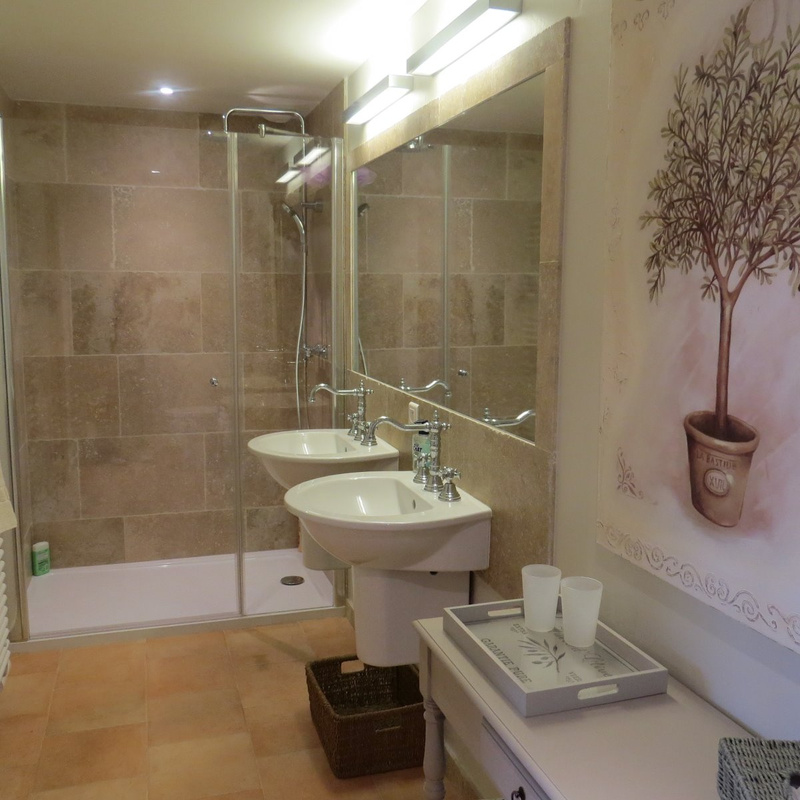 The bathroom includes two large sinks, shower, bathtub and WC. 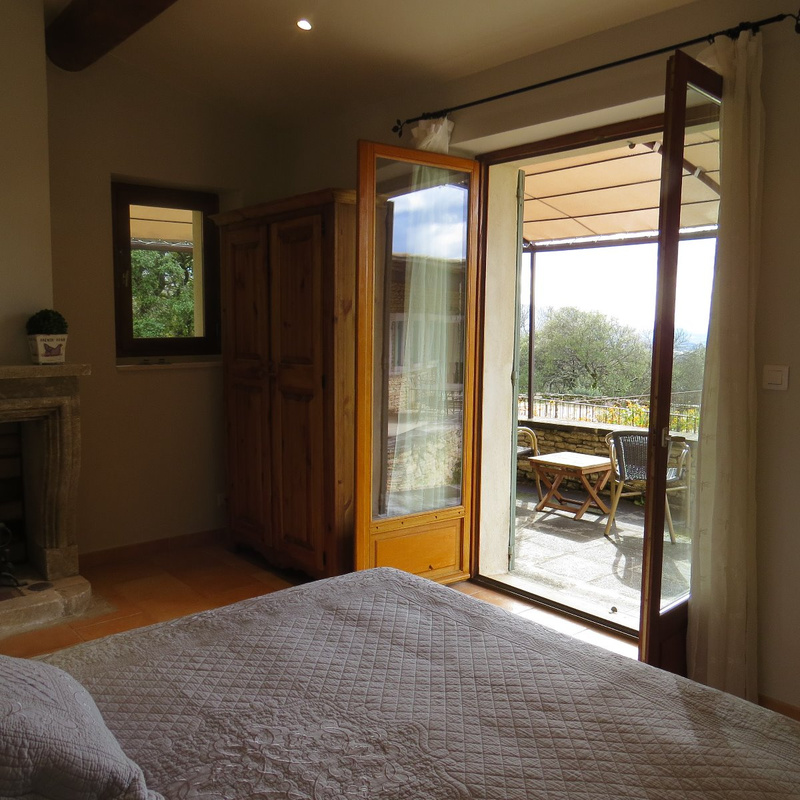 The second bedroom with king bed, open to the terrace and views over the garden and pool area. 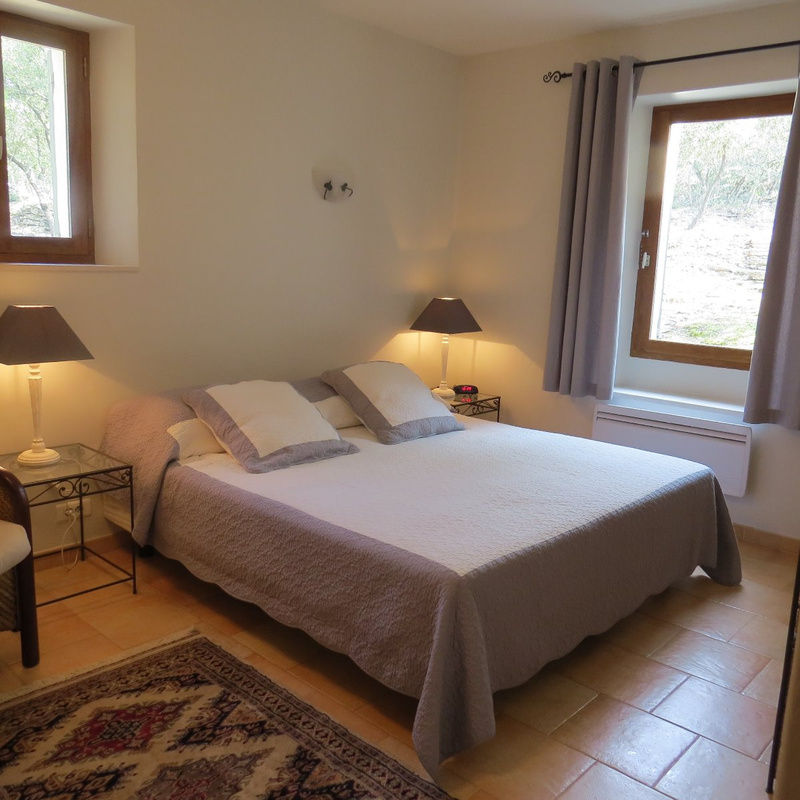 The beautifully decorated third bedroom in the middle of the villa also has a king bed, and then shower room with two large sinks, shower and toilet. 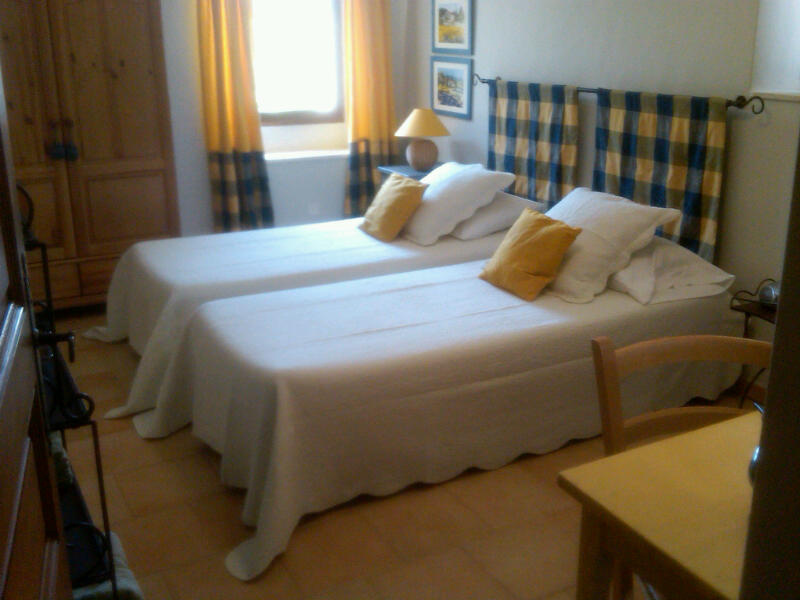 The hotel is located in the heart of the city, close to the city center. 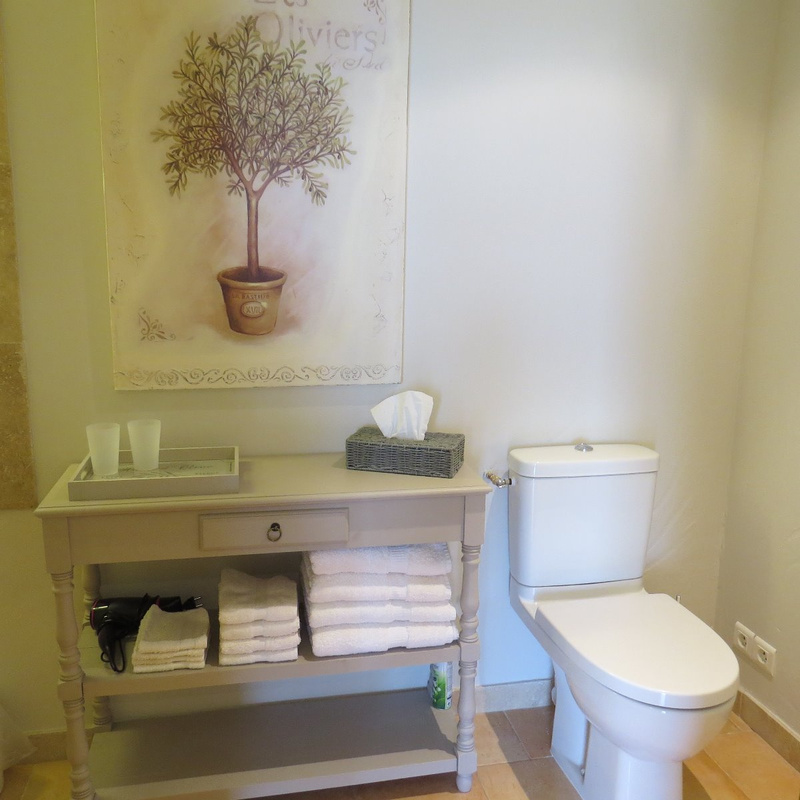 The WC has a second sink. 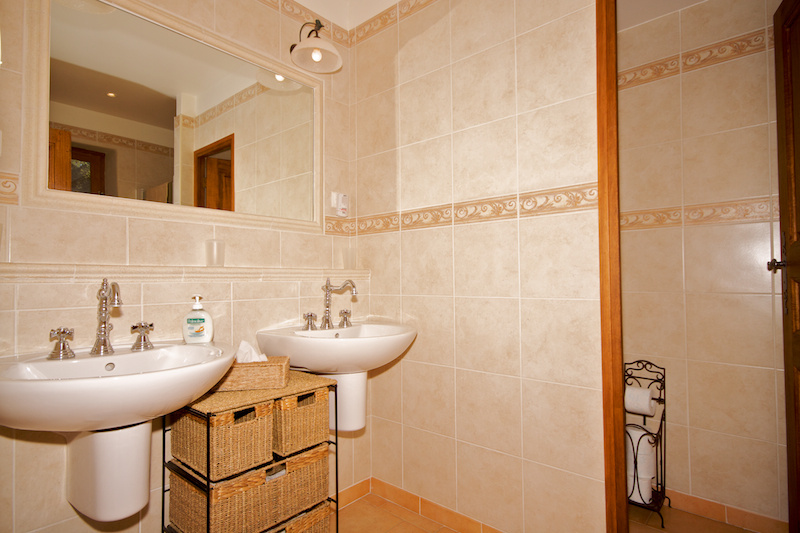 All bathrooms are equipped with wall mounted towel warmers, large mirrors and hair dryers. 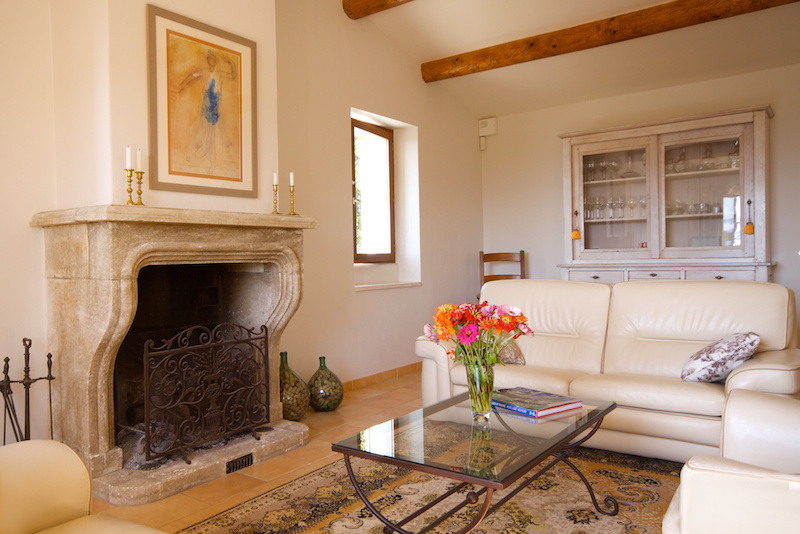 The spacious and richly furnished living room has an antique stone fireplace and open to a spectacular view of the valley. 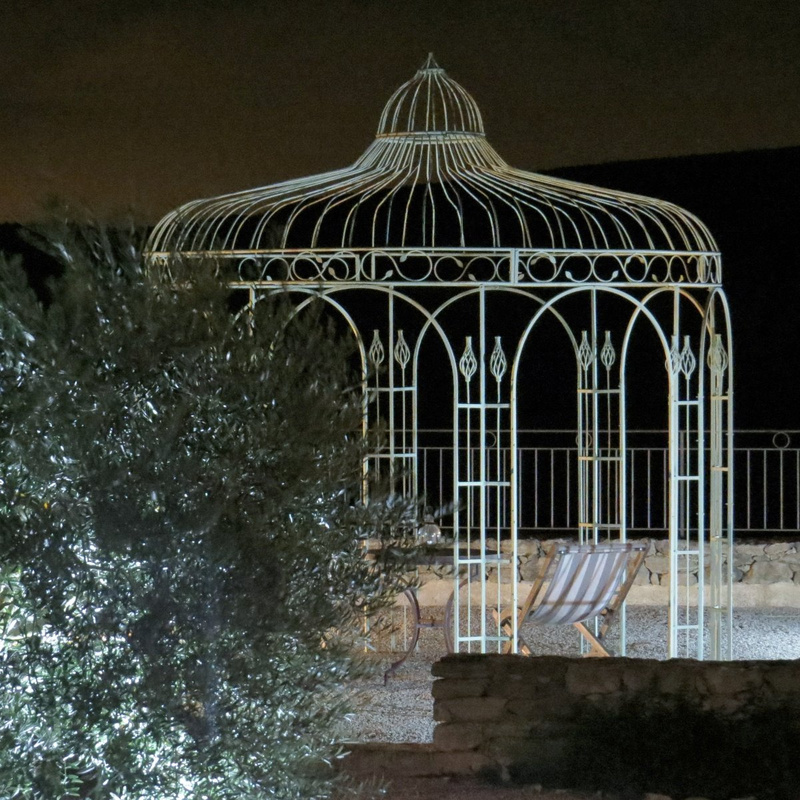 At night in the distance you can see the lights of Cavaillon and the many lit up houses that dot the surrounding landscape. 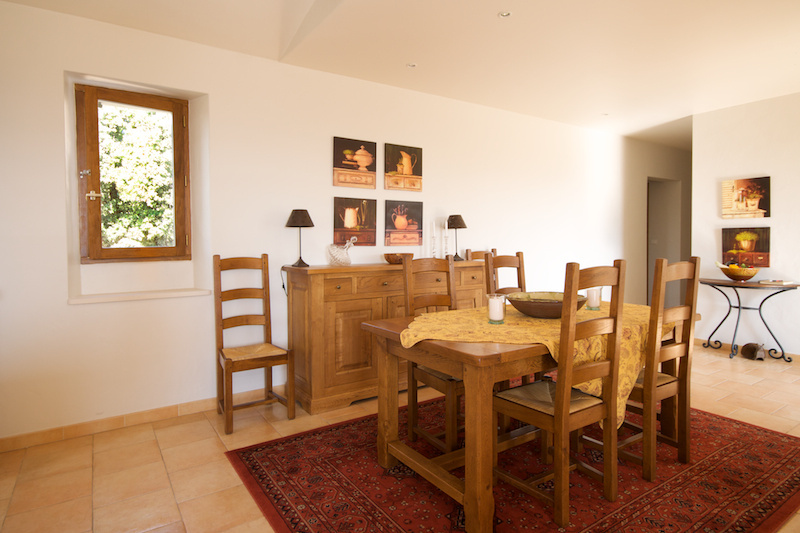 The delightful dining room comfortably seats eight people for memorable dinner parties. 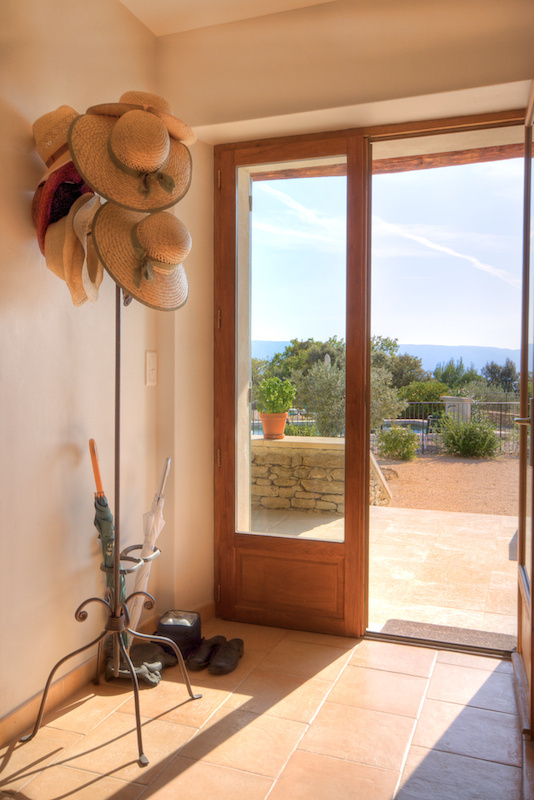 The fully equipped Provencal kitchen is a gourmet's delight. 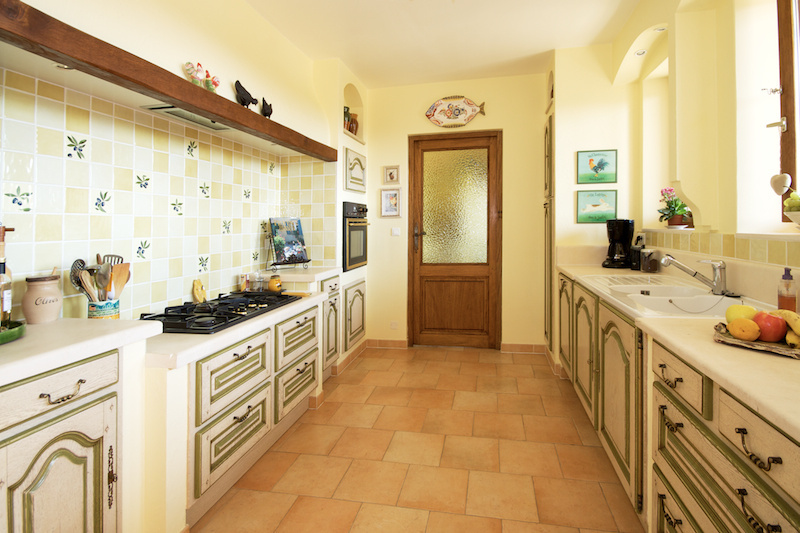 Includes a full cooked top, oven with rotisserie, full sized refrigerator with freezer, microwave and dishwasher. 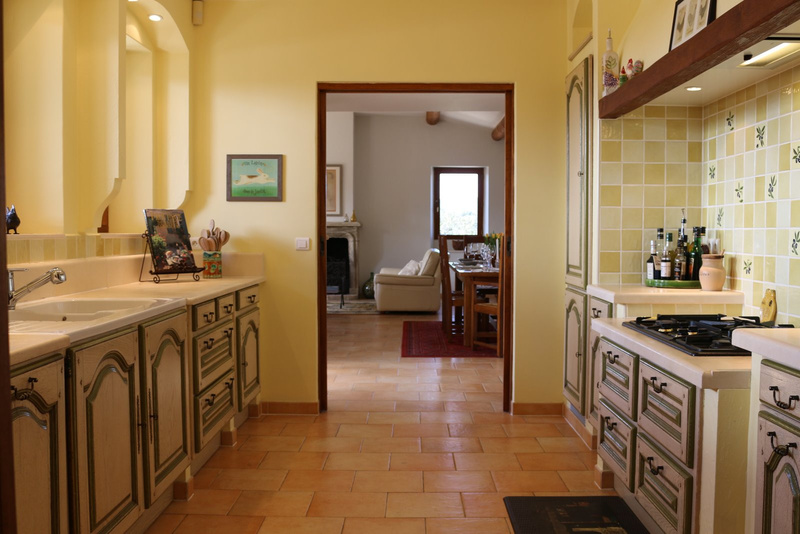 The kitchen is also well stocked with beautiful pots and pans along with all the necessary tools for preparing and enjoying delicious meals. 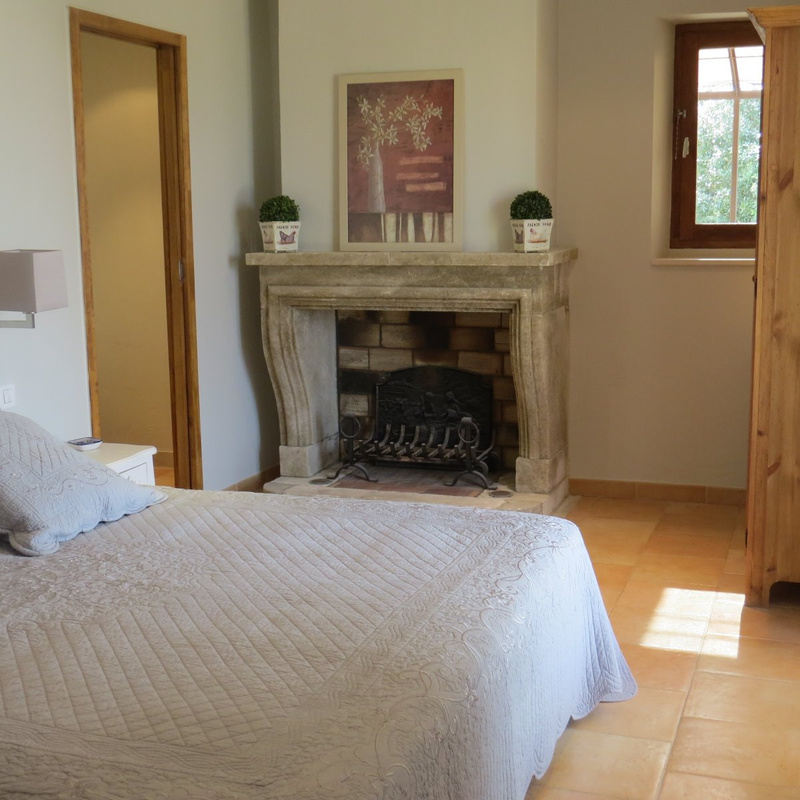 The adjacent utility room has a clothes washer and dryer and a second refrigerator with freezer. 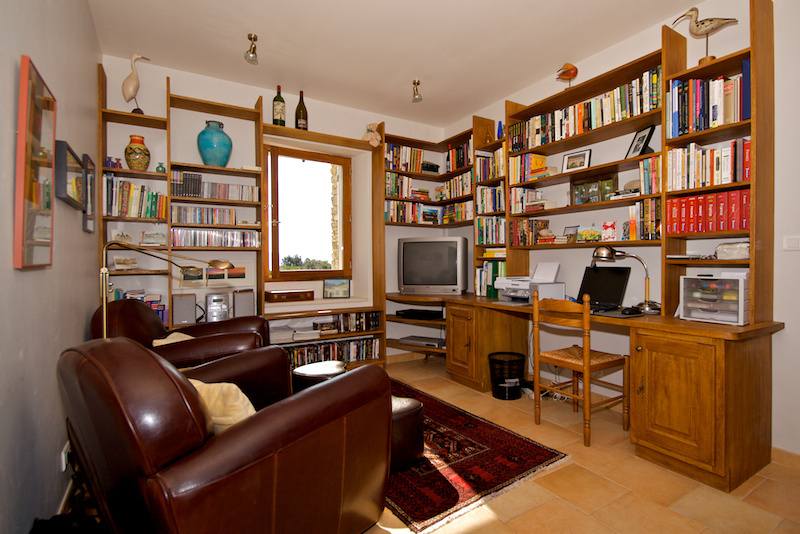 Satellite TV, DVD player and radio / CD player (CD's from classical to country). 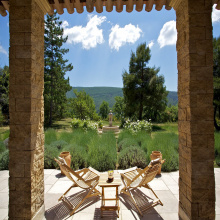 The magazine also includes a large selection of books and magazines for your enjoyment. 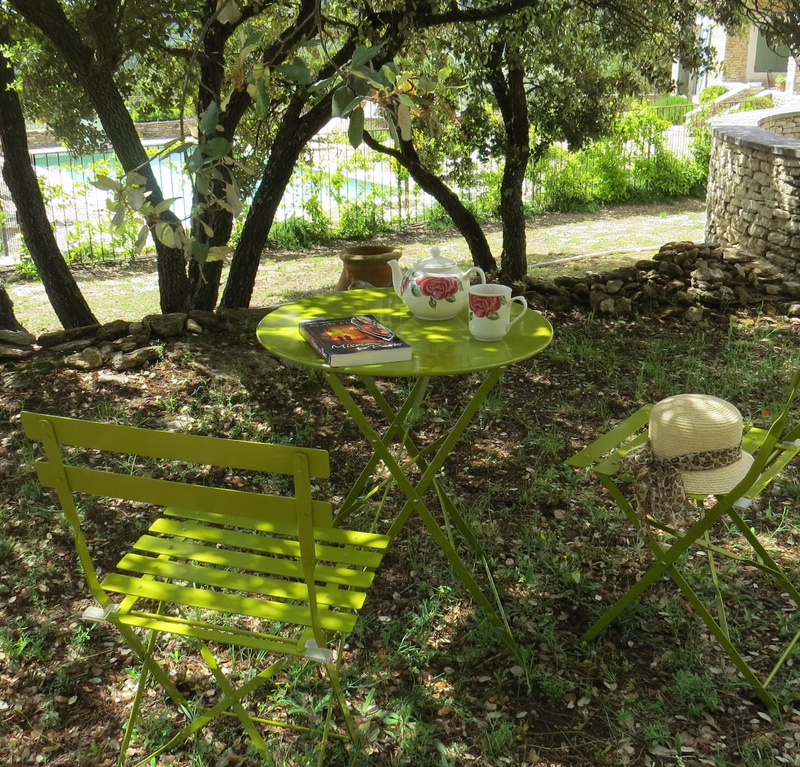 WiFi service is available if you bring your laptop computer and a fax / printer / copy is here for your use.